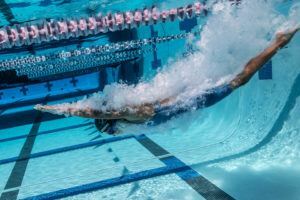 While throwing down monster heat in the women’s 50m and 100m freestyle races at the 2017 NSW State Open Championships last weekend, world record holder Cate Campbell of Australia quietly threw down a best time in one of her off-events, the 200m freestyle. Having already clocked a 50m scorcher of 24.47 and a blistering 100m outing of 53.15 at the meet, Campbell tried the 200m on for size and wound up finishing with a silver medal behind Sweden’s Michelle Coleman, stopping the clock in 1:58.21. Campbell, who says she’ll continue competing at the Mare Nostrum and World Cup Series this year, but not the 2017 World Championships in Budapest, has only swum the 200m free event a handful of times. 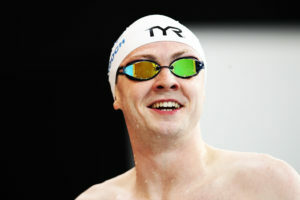 Entering the meet, the Commercial Swimming Club athlete had yet to crack the 2-minute threshold. ‘C1’s time of 1:58.21 now ranks as the 9th fastest in the world this season, not too shabby for the typical 50/100 speedster. 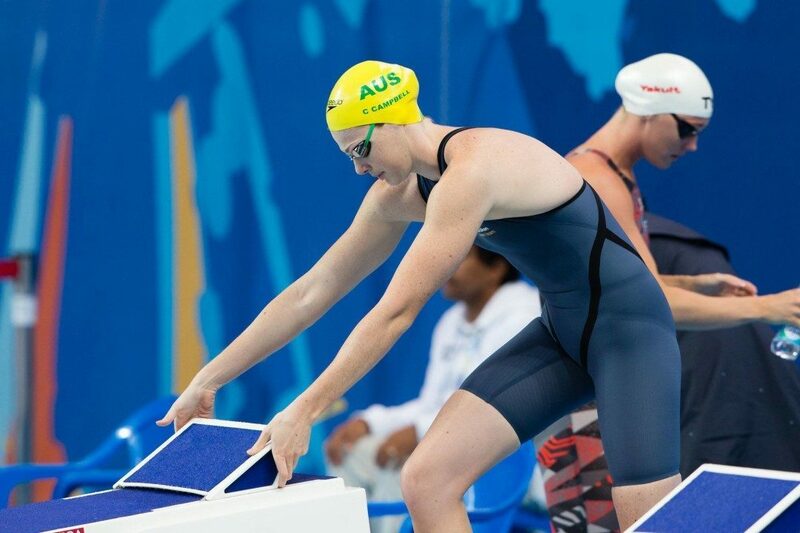 Additionally, the 24-year-old has only been back in the water part-time, as she has been recovering from a hernia, one with which she swam while securing a world record as a member of the Aussie 4x100m freestyle relay in Rio. 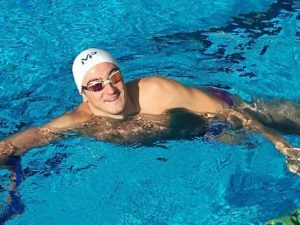 For perspective, Campbell’s time from last weekend would have finished with a silver at the Arena Pro Swim Series in Indianapolis, beating all Americans in the process, although key swimmers such as Katie Ledecky and Simone Manuel weren’t competing. Locally, C1’s 200m freestyle mark ranks as the 2nd fastest Australian this season, only behind Western Australia’s Brianna Throssell, who clinched a time just .11 quicker at last December’s Queensland Championships. Since Rio, 4x200m freestyle relay silver medalist Bronte Barratt has announced her retirement, while anchor Tamsin Cook revealed she will be taking a brief hiatus from the sport, opting out of the World Championships. Rio prelims relay member Jessica Ashwood and finals lead-off swimmer Leah Neale are still very much competing, but C1’s outing does make one’s mind wonder as to the possibilities for that event for the 3-time Olympian both on an individual and relay level. However, with her opting out of Budapest, that takes at least a short-term relay prospect off the table. 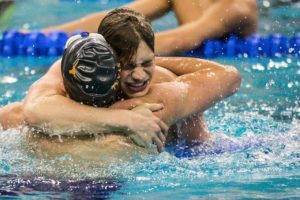 Individually, the Australian men have both Cameron McEvoy and Kyle Chalmers going after the 50/100/200 freestyle treble at Australian competitions, and Emma McKeon often attempts the trio on the women’s side. With this 1:58-low, it’s not extreme thinking to wonder if C1 would ever attempt the trifecta regularly down the road. Did Bronte Campbell do it too? It’ll be interesting if both Campbell try the triple sprint freestyle. Only Cate did the 200m, but it also meant they had two Commercial swimmers finish in the top three since Shayna also swam it. No real record of any 200FR outings of any note from C2; her one performance of note outside her stock 50/100FR has been a 28.2-28.3 50Back at the LCM Singapore World Cup post 2015 Worlds. When did Simone Manuel become key swimmer at 200 free LCM? If beating Cate Campbell at 200 qualifies her as such then, sure, of course she is. She was merely stating a fact. Simone and Katie weren’t there. They both have faster 200 free times than C1. Like it or not….you compare Olymipc medalist with other Olympic medalist. And look for Simone to make that 200 free relay for worlds because she has the greatest LCM training partner in the world….her friend and teammate Katie Ledecky. Everyone knows that our women’s 800 free relay is almost a guaranteed gold. Same as with Cate Campbell who gives Australian team more than a second advantage at 4×100 free relay, Katie Ledecky gives American team at 4×200 the “unfair” advantage. In Rio American easily won the gold medal having 3×1:56 plus KL. I think that American will find three 1:56 swimmers this year as well. If not then they will go with plan “B”. That is Katie splits under 1:53. I wish I could challenge your “Canadian” bet, but I’m not sure about the way to collect. I agree about the KL advantage. But will it be enough? What amazes me is the youth of the Canadians freestyle relays. Ruck is 16. 1.52.50 in SCM last December. 1.56.16 relay split in Rio. Smith is 16. 1.52.99 in SCM last December. Harvey is very young too. It’s hard to think they will not improve in the next few years. So USA has KL, smith, Katie M(swam this relay at 2015 worlds), Margalis, comerford, Simone and a bunch of youngsters that can step up in the next 2-3 years. The big advantage is that we can swim our 3-6th best swimmers in prelims and choose the fastest two…..the rest of the world can’t do this and they have a lot less margin for error. I don’t see how we don’t have have a 153, a couple 156s and and a 157 in finals. You’re right about the depth. But Canada has 6 girls in 1.58 or better so they can rest Oleksiak and Ruck for example in prelims.